The Ocean Vagabond hotel hosts the ION Nautical Center, located directly on the banks of the incredible lagoon of Dakhla with excellent temperatures and wind to sail all year round. 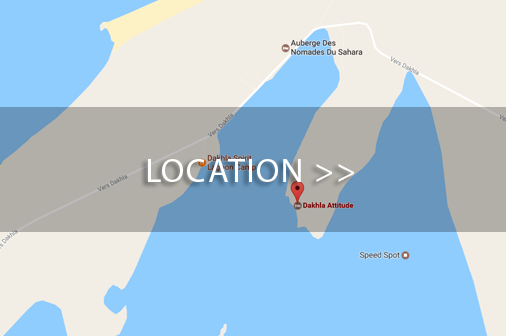 Its flat, shallow water and constant wind make Dakhla a spot which is easy and accessible for everyone!! The ION Nautical Center offers NORTH KITEBOARDING material and NORTH SAILS & FANATIC windsurfing, surf and SUP boards for their courses and equipment hire. All instructors have the IKO or VDWS qualifications, speak many different languages ​​and strive to share their passion for kite surfing. In the sailing area of Hotel Ocean Vagabond, the ION center has two rescue ships for the safety of their customers as well as beach assistance to launch and land kites. In addition, the nautical center offers many alternative activities to kite surfing and windsurfing, like surfing, SUP, kayaking, fishing, etc. The Watersports center of Ocean Vagabond is the well-known ION Club. The Club only works with IKO or VDWS certified instructors and the latest North Kiteboarding equipment. All lessons include full equipment and insurance. Group lessons are ideal for groups of friends or people with a limited budget. One monitor, 4 students with 2 complete kite sets. Each student has its own wetsuit, harness, helmet and life vest but will have to share the kite set with another student. Semi-Private Lessons are ideal for those wanting to make progress faster. One monitor, 2 students with 2 complete kite sets. Each student has its own wetsuit, harness, helmet, life vest and complete kite set. Private Lessons are ideal for those wanting to make the best out of their own time. One to one personalized teaching all included. All graduated students in Private Lessons are invited to a free downwind to the white dune with Rihfly Dakhla Sport Center staff. Kids under 15 can only participate in private lessons! The Watersports Center of Ocean Vagabond is the well-known ION Club. 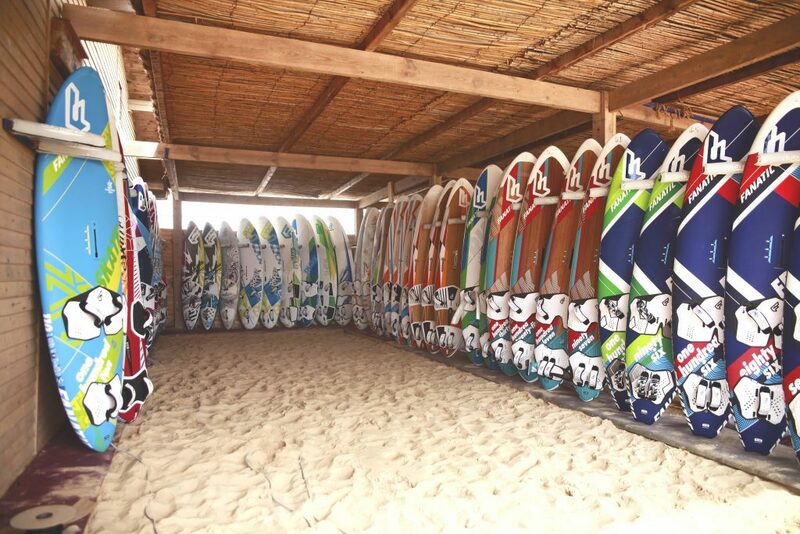 Renting here guarantees you high quality kiteboarding equipment from North Kiteboarding. Kites and boards are available in many different sizes and you can change kites and boards at any time and as many times as you like. That way you can try out brand new material as well as always pick the right sized kite for each wind condition. In order to be able to rent equipment, you must have attained a minimum of an intermediate level rider, or IKO level 3. You must be able to ride upwind. The Watersports center of Ocean Vagabond is the well-known ION Club. The Club only works with qualified instructors in French, English, Arabic or Spanish and the latest equipment from North Sails and Fanatic. All lessons include full equipment and insurance. Group Lessons are ideal for groups of friends or people with limited budget. One instructor, 4 students with 2 complete windsurf boards. Each student has its own wetsuit, harness, helmet and life vest but will have to share one windsurf board with another student. Semi-Private lessons are ideal to progress fast. One instructor and a maximum of 2 students, each student with his own complete windsurf board. Each student has its own wetsuit, harness, helmet and life vest. Private Lessons are ideal for those wanting to make the best out of their own time. One to one personalized teaching all included. The Watersports Center of Ocean Vagabond is the well-known ION Club. 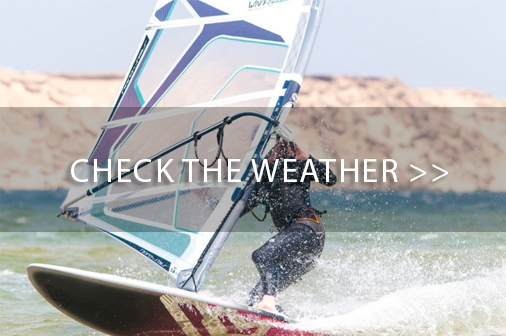 Renting here guarantees you high quality windsurfing equipment from North Sails and Fanatic. Sails and boards are available in many different sizes and you can change them at any time and as many times as you like. That way you can try out brand new material as well as always pick the right sized sail for each wind condition. In order to be able to rent equipment, you must have attained a minimum of an intermediate level rider, or IKO level 3. 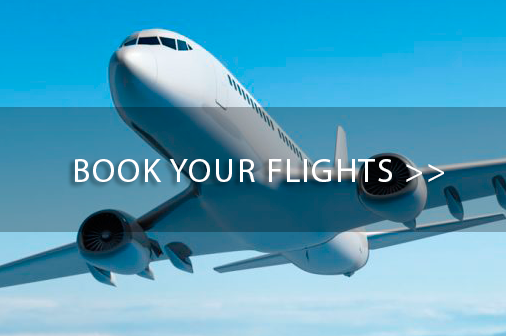 No show (not present at day of arrival) : 100% total price of the stay.Cancellation 7 days before the arrival date : 100% total price of the stay.Cancellation 8 to 15 days before the arrival date : 50% total price of the stay.Cancellation 16 to 30 days before the arrival date : 30% total price of the stay.Cancellation +30 days before the arrival date: 20% totalprice of the stay. -Private storage box for your gear. -Access to air compressor area. -Center facilities (changing rooms, showers, water to rinse your equipament. -Launching a landing assistance on the beach. Price 70€ per person 6/7 days.Offer 6=7 days.Warning: the safety boat may not be used to recover the beginners who do not know how to ride upwind. If you are unsure of your level, we will be pleased to welcome you in our courses.The storage warehouse in under surveillance; however, the center is not responsible for any loss, damage, or theft. -All lessons include the equipment only during the hours lessons. -Kitesurfing equipment rental include (kite, bar, board, leash, wetsuit, harness, helmet and life vest). -Accepted payment methods: cash (€ or DHS) and credit cards (NO AMEX). -Insurance is not included in the standard rental rate. -All lessons are given by certified instructors: IKO/VDSW. -1 lessons = 2 hours. -The safety boat may not be used to recover the beginners who do not know how to ride upwind. – Unused sports services will not be reimbursed. If you cannot make use of any prepaid sports services during your trip, due to lack of wind or no wind, you will be offered alternative activities such as surf lessons or rental, SUP etc… If you don’t want use any of them we provide you with a voucher for the remaining lessons/rental valid for 3 next years. –In order to be able to rent equipment, you must have attained a minimum of an intermediate level rider, or IKO level 3. You must be able to ride upwind.